To see some wonderful photos of our Anniversary Open Day please go to Galleries and Anniversary Photos and take a look at the review of some of the highs and lows of the last 30 years. 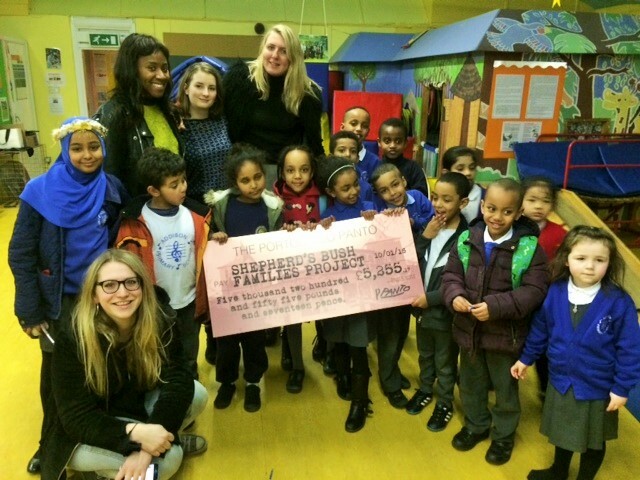 SHEPHERDS BUSH FAMILIES PROJECT & CHILDREN'S CENTRE (SBFP&CC) has been at the heart of the local community of Shepherds Bush since 1988. Our charity based in Shepherds Bush aims to help families who are homeless or have other unmet housing needs and suffer social and economic hardship in Shepherds Bush and the Borough of Hammersmith & Fulham. We do this by working with families to promote the emotional, physical, social and intellectual development of infants, children and young people through providing of a range of high quality, stimulating educational and recreational daytime services and activities which will enable them to flourish and develop both at home and school or college. We work with parents with the aim of meeting their emotional as well as practical needs, which in turns means they themselves are more able to meet their children's emotional and physical needs. Thus reducing the risks of family breakdown. As well as all the grant giving bodies, trusts and foundations we owe a big thank you to those individuals and Companies that have continued to support us. The support offered is vital if we are to continue to carry on doing the work needed without restriction and limits. Just a few of the children from the After School Club who welcomed some of those who are involved in the Portobello Pantomime. What a great donation. The children are already looking forward to some of the activities it will be used for. Click to find out other ways you can donate and help support our work. Click to 'like' our Facebook page and keep up to date with the latest. Click to follow us on Twitter and keep up to date with the latest. Shepherds Bush Families Project and Children's Centre - an independent charity working with families in housing need since 1988. Charity Number: 1080495. Company Number 3664056.